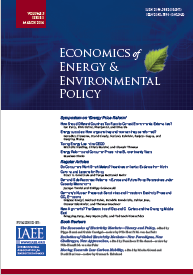 Internalizing the Climate Externality: Can a Uniform Price Commitment Help? It is difficult to resolve the global warming free-rider externality problem by negotiating many different quantity targets. By contrast, negotiating a single internationally-binding minimum carbon price (the proceeds from which are domestically retained) counters self-interest by incentivizing agents to internalize the externality. In this contribution I attempt to sketch out, mostly with verbal arguments, the sense in which each agent's extra cost from a higher emissions price is counter-balanced by that agent's extra benefit from inducing all other agents to simultaneously lower their emissions in response to the higher price. Some implications are discussed. While the paper could be centered on a more formal model, here the tone of the discussion resembles more that of an exploratory think piece directed to policy-makers and the general public.